From the Edgware Road to the southeast edge of England, via the snow belt of upstate New York, my sculptural journey has taken the scenic route. On the way I have been a plasterer, a teacher, a landscape architect, and now, again, a studio based sculptor. Portrait sculpture is my core practice. It feeds into my parallel preoccupation with the depiction of the figure in space: in two dimensions through observational and imaginative drawing, in three dimensions through narrative sculpture, and in the strange and compelling form of relief sculpture – which hovers between dimensions. Clay and wax are my primary media. 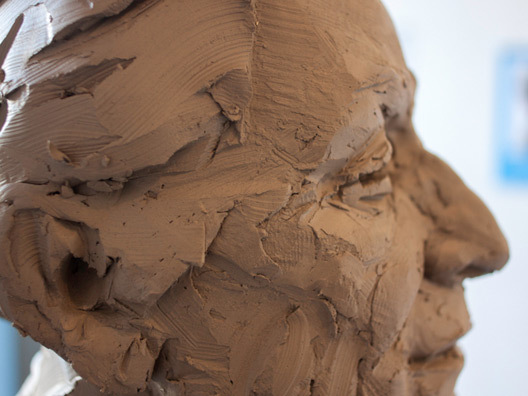 Clay's primal simplicity contains infinite metaphorical potential: it speaks of transformation, of genesis and decay. Wax has an almost mystical affinity with bronze, both as a modelling medium and as an essential part of the lost wax process, by which the clay or wax original is transformed into bronze. The mutability of these two materials make them both potent allies in the attempt to capture that most elusive and ineffable thing: human identity. Sculpture by Brook Hobbins is available to commission or for sale - cast in bronze or Jesmonite from clay, wax or plaster originals - and a small number of pieces are also available in slip-cast ceramic. 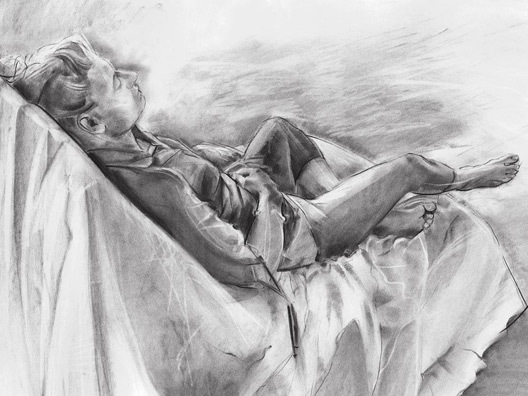 Additionally, high quality limited edition Giclée prints of Brook's drawings are for sale to order. A snapshot of Brook's growing body of work and insights into her studio practice can be viewed in the 'Works' section. 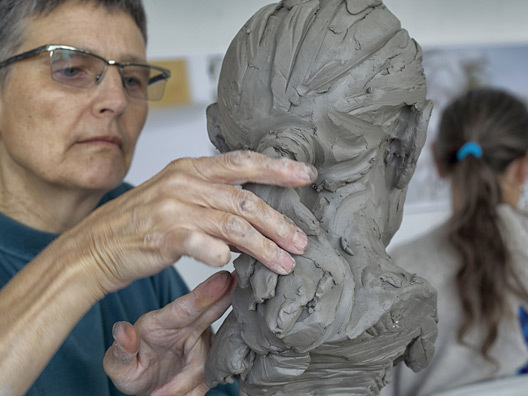 This includes commissioned portrait sculpture, narrative sculpture, works on paper as well as the sculptural processes that inform the finished work. Limited editions of my work are available for sale and I welcome enquiries for both public and private commissions. You can view my work as a landscape architect through my archival website SquareSky.